I am blessed to say that I come from a loving and stable family of my mother, father, and older brother. Together, we live happily in Belfast, Northern Ireland, where I enjoyed an uneventful childhood. Money, while not overly abundant, was not a barrier and illness was, thankfully, nowhere to be seen. Many would comment that I was a bright and joyful child, full of happiness, confidence, and life. I enjoyed attending my local lower school where I nurtured my love for learning… and my hatred for homework. It was in school where I was given the opportunity to discover my hobbies at the tender age of seven years old. I started to the play the clarinet and subsequently fostered an ardent love for music. More significantly, however, physical education classes introduced me to Gaelic Football, a traditional sport on the island of Ireland. Within weeks, I was registered at my local club; there, my passion for Gaelic Football blossomed. 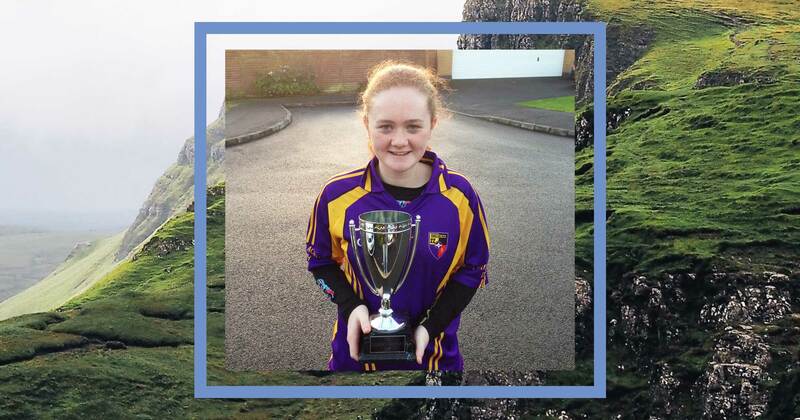 As I moved to upper school, my devotion to sport continued; no day was complete without it containing at least one aspect of Gaelic Football: training, playing, coaching, or refereeing – I was always doing something on the pitch. At one point, I was captain of all the teams for which I was eligible; namely my school, club, and county. By age seventeen, I was a lead coach for the underage teams in my club, a volunteer mentor in my school, and a young referee, all while competing as a member of three separate teams. Simultaneously, I successfully balanced my commitments to music, completing musical examinations and performing as leader of the Education Authority’s Concert Band. Furthermore, I was privileged to succeed academically, passing all my upper school exams, though I still hated homework. Everything seemed so good. I was part of a loving and stable family. I was lucky to experience no trauma in my life. I was a successful Gaelic Football player. I passed all my school exams. From the outside looking in, I led an ideal life. However, that is only what is on paper. That is what people see. 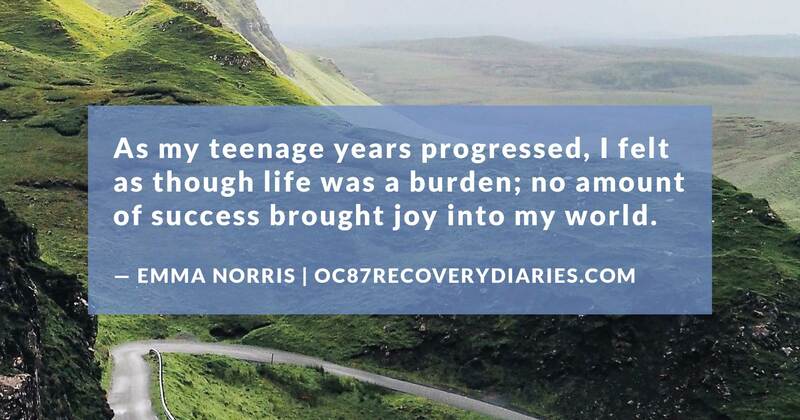 The truth was that, as my teenage years progressed, I felt as though life was a burden; no amount of success brought joy into my world. Despite this, I slowly kept on moving from day to day because I knew I had so much to be thankful for; that there were many people out there hoping to lead the kind of life I had. Each day I crawled out of bed because I felt I needed to appreciate all the opportunities I had been given and work hard to make the most of them. I could not waste the life I had been gifted; I had to keep on going. While doing so, my mind was always posing endless questions. How could I be blessed with such a supportive family, yet feel so alone? How could I be a Gaelic Football captain but feel like such a failure? How could I be a ‘model student’ and be utterly unmotivated? Why did I have to fight to get up each morning? Why did I have to battle to stay calm if I left the house? Why did I have to argue with myself to play football? Of course, I didn’t really know that. I could not see that I was ill. I knew I had some kind of problem, but I had convinced myself the problem was me; I was ungrateful, unkind, and undeserving. I could not fathom that someone of my background could reach the depths of despair to which I had sunk. The real me was in a locked room. Vibrant, happy, ready to face life, but all locked away. Depression held me hostage and every little thing became ten times harder; getting out of bed, having a shower, brushing my teeth, making and eating food, getting dressed – starting each day was simply overwhelming. Yet, my high-functioning nature enabled me to struggle through the morning routine and, to the outside world, there was no problem. I never missed a day at school due to my depression, but my anxiety never missed a day either. From the moment I left the house, my mind would begin racing; “I look embarrassing, I have no friends, everyone hates me” were only some of the taunts anxiety provided for me each day. Every interaction, sideways glance, or word I spoke was scrutinised and over-analysed by my anxiety. Each day was tainted by the belief I had embarrassed myself, I had failed, I had let someone down. Mental illness even spilled over into my two passions in life; music and Gaelic Football. No piece I ever played on my clarinet sounded good enough, each small mistake would ruin my entire rehearsal. Every wide shot in Gaelic training was another reason I shouldn’t be on the starting team. Any match lost was my fault, even though I was only one player from a panel of thirty. I agreed with every criticism from the competitive parents on the side-line, as I refereed a non-competitive match between ten-year-olds. Every morning was a battle to get up. School became a place of self-criticism. Music developed into a medium of failure. My main passion in life, Gaelic Football, grew into a climate of self-deprecation and self-loathing where I not only failed myself but my school, my club, my county and my family. Life became so overwhelming that I now cannot find words to truly explain how lost I really felt. It took me years, until I was nearly eighteen, to realise how unwell I was. I hoped, from then on, it would get better, or go away, but it didn’t. Depression locked me away, and anxiety taunted me while I sat alone in that cell. No matter how hard I tried to overcome my depression and anxiety, I always failed. At that time, I believed I was failing because I was not trying hard enough, that if I really wanted to, I could do it. In truth, I could not do it alone. All around me were people who seemed to be enjoying life and getting so much out of it. Even more, they were more than willing to help me feel that way, too, but I could not let them. Why? 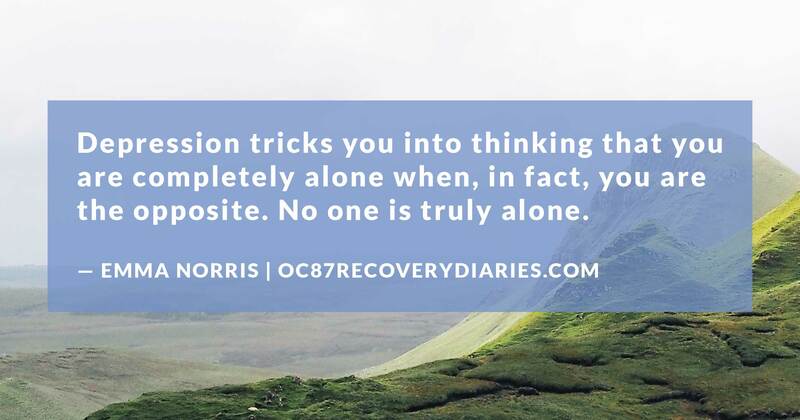 Depression tricks you into thinking that you are completely alone when, in fact, you are the opposite. No one is truly alone. There will always be people out there who care for you; friends, family, doctors or mental health professionals. The feeling of isolation is just a lie depression tells you and it was a feeling I could only live with for so long. Over many years of my short life to date, the grasp of my mental illness had tightened because I did not seek help. 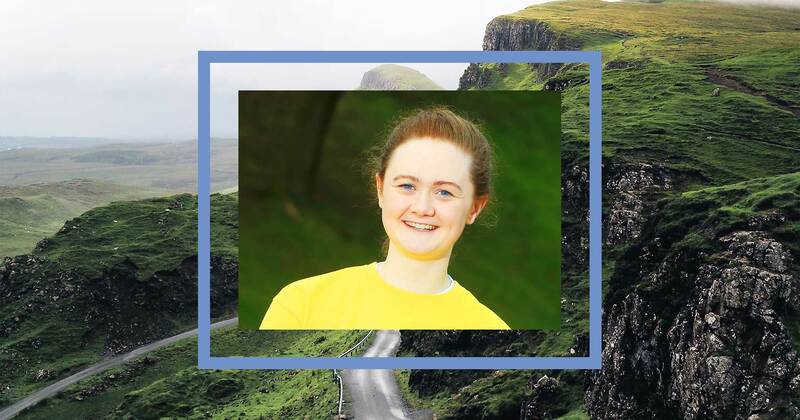 Just two months before my eighteenth birthday, I reached what medics called a crisis point; my depression and anxiety had consumed me to the point where I could no longer cope and, suddenly, I went from being high-functioning to non-functioning. I quit my hobbies of Gaelic Football and music. I stopped trying in school. I withdrew from all those around me, including friends and family; it was only then they could see grasp mental illness had on me. 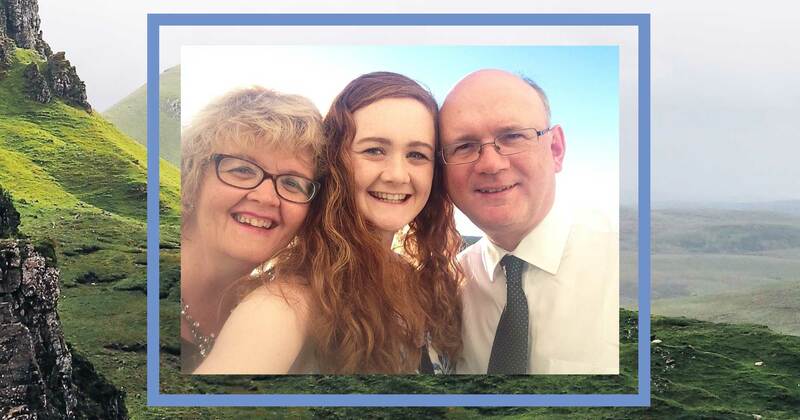 My family and school enabled me to seek help when my crisis occurred and, through a crisis referral, I was pleased to be diagnosed by a psychiatrist from my local adolescent mental health team. I willingly started medication to tackle both my depression and anxiety and I was assigned two key-workers; mental health professionals who I had meetings with multiple times a week to monitor my progress and my mood. 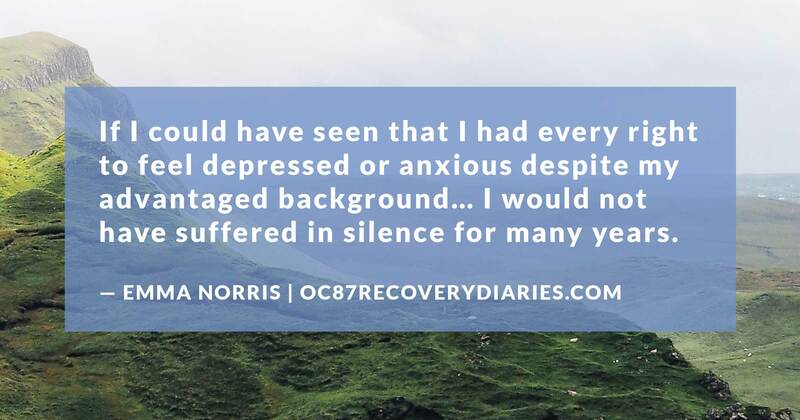 It was with them that, although I did not begin therapy per say, I began coming to terms with my illnesses and started to develop an understanding of their impact. 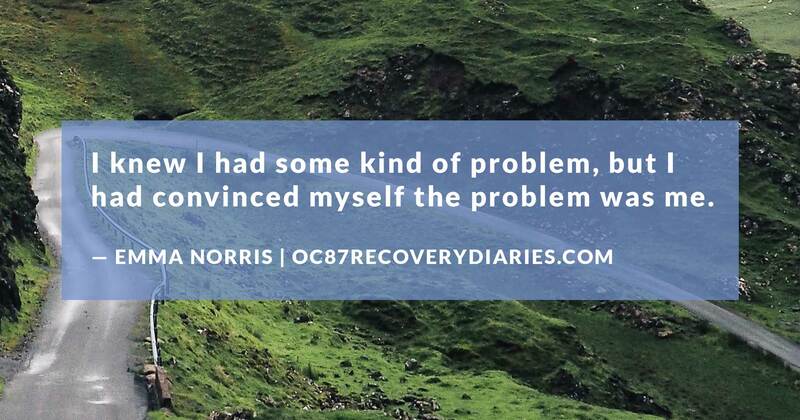 Due to my mental illness, I had to take six weeks out of my final year of school so that I could engage fully with my mental health team and begin my ongoing recovery. In hindsight, however, I had never truly been at school in my final year; I was always in class, but I was never there in spirit. Through no fault of my amazing teachers, I had learned nothing in the first five months of my final year because my illness would not let me. My concentration had reduced to nothing, along with my motivation. I was so behind I had no desire to try and catch up or complete my exams. With the help of my medication, key-workers, family, friends, and school, I was able to return to class eight weeks before exams started. I did not return ‘cured’ or ‘fixed’ but I went to school healthier than I had been in years. With a lot of hard work from all those around me, I was able to pass all of my exams and gain a place in teacher training at St Mary’s University College, Belfast. However, starting medication, engaging in treatment, passing exams and gaining entry into university, did not put an end to my depression or anxiety. 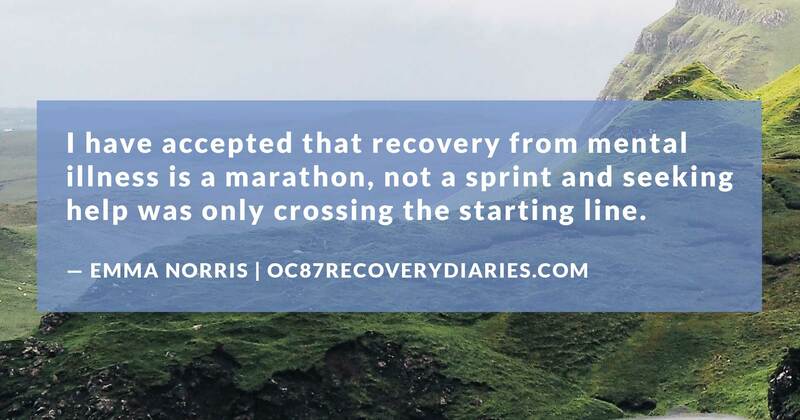 Instead, I have accepted that recovery from mental illness is a marathon, not a sprint and seeking help was only crossing the starting line. One year on, I continue to struggle to find motivation to learn while battling the irrational thoughts still consume me. Some days, I can’t fight. However, I am now on a path where I can use what little energy I have to deploy techniques of self-care: going for a walk, talking to someone, colouring in, or watching a movie – anything that works for me in that moment. Overall, my battle with mental illness has been difficult. I’m only nineteen years old, so I know I have a long and very hard journey ahead of me. Life’s a climb for anyone, but mental illness makes the path much steeper. However, I am determined to not let my suffering be in vain. I want to use my experience to try and help others, in the hope that, maybe, by sharing my story and giving my own advice, I will help at least one other person through their struggle with depression or anxiety. Mental illness can happen to anyone, of any age, gender, or background, regardless of what they have or have not been through in their lives; mental illness does not discriminate. Maybe if I had understood this, if I could have seen that I had every right to feel depressed or anxious despite my advantaged background, despite having few risk factors for mental illness and despite little family history of mental illness, I would not have suffered in silence for many years. Now, I want to educate others, regardless of their age, gender, ethnicity, religion or background, that mental illness can affect anyone. I hope that someone will learn from my mistake, so that if they ever notice a change in their mood, thoughts, or actions, whether that be this year or ten years down the line, they will never forget that there is help out there. If they are unsure about what they are feeling, they will ask. Please, do not do what I did. Do not let weeks turn into months, or years.